A growing faith that produces a sustainable harvest is one that is cultivated. Faith that produces harvest is supernatural. It has a purposeful and planned rhythm. It starts with the destruction of clearing obstacles. It continues with protection and tender care for the young plants. It multiplies with growth and harvest that is shared among community. It propagates through seeds of knowledge, passed on for the next generation of growth. 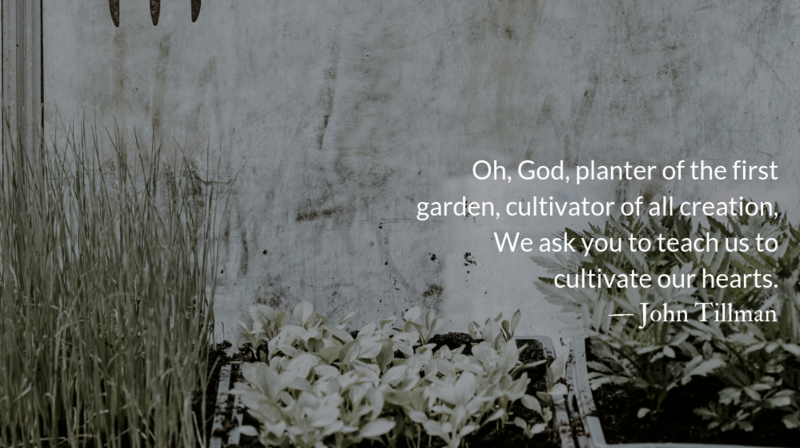 As we conclude (for now) our series on cultivating faith, we pray over our hearts (our fields) some scriptures from today’s readings. We ask you to teach us to cultivate our hearts. We do not want our hearts to be far from you, Lord. But a harvest of the fruit of your Spirit. You have taught us, Lord, that the fruits of our actions spring from our hearts. Our hearts are the fields that we must till and tend. He replied, “Every plant that my heavenly Father has not planted will be pulled up by the roots. Help us, Lord, to resist the urge to weed someone else’s field. We pray that you would send us, Lord, first into the field of our own hearts. To pull up the stones. To burn out the crops of selfishness. To pull up by the roots our callousness. To nourish the good seed of the gospel. To share the harvest in celebration. Only then, Lord, will be able to give freely to our neighbors of the seed that you have planted in us. We echo the cry of the outcast Syro-Phonecian woman, Lord. We are desperate for a crumb of the harvest of the gospel. You have great faith! Your request is granted. There is a kind of sin-sickness that we nurse and maintain. Pray that it be healed. Ask for your eyes to be opened as your blindness is revealed. Christ’s breakfast on the shore is a model for us of gathering those who have failed, reinstating each other through Christ’s redemption, and being sent out to feed others.